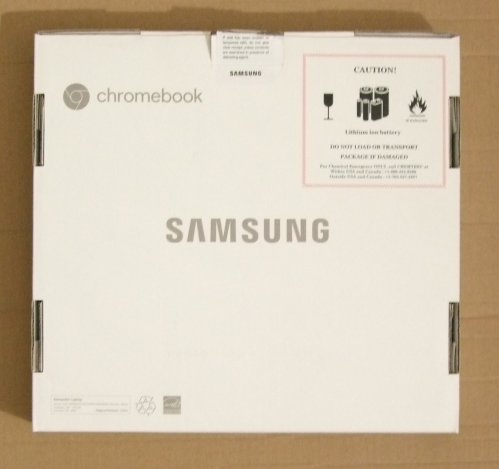 Both my current Chromebook and Android tablet were prehistoric at best, so when I saw that the Samsung Chromebook Plus went down to $350 during the Black Friday festivities at amazon.com, it was a no-brainer, a two-for-one purchase without breaking the bank! 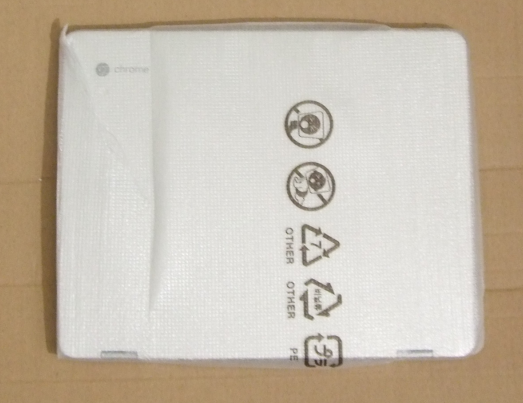 The SCP (that’s my shorthand for Samsung Chromebook Plus because I’ll repeat the name many times) comes in a pizza-style cardboard box. 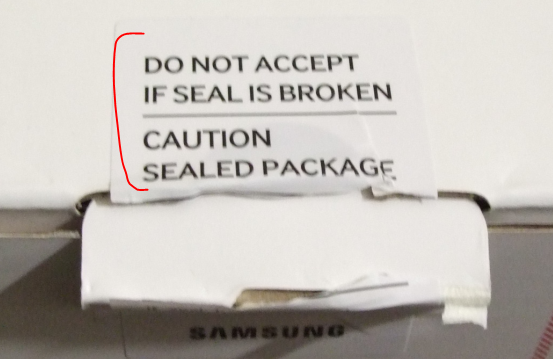 There is a seal on it, and per the instructions on the box, DO NOT accept a purchase if that seal is broken. Unlike you are buying open-box or used that is. 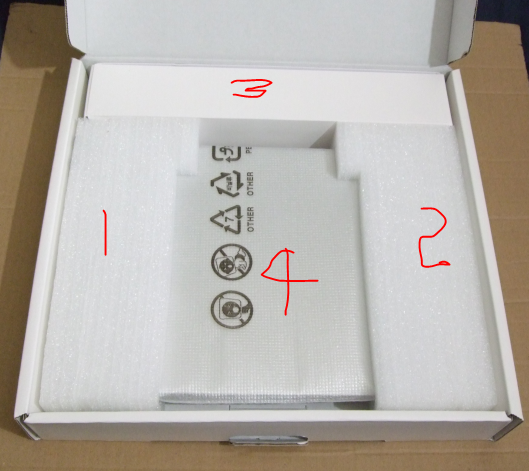 Opening the cardboard box reveals what’s inside. #1 and #2 (in the picture below) are protecting buffering. 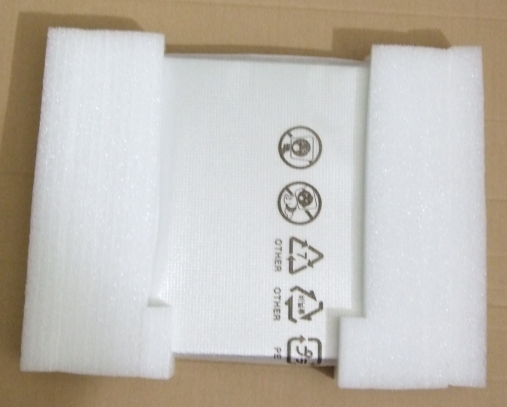 #3 is a removable cardboard box that contains the AC power adapter. 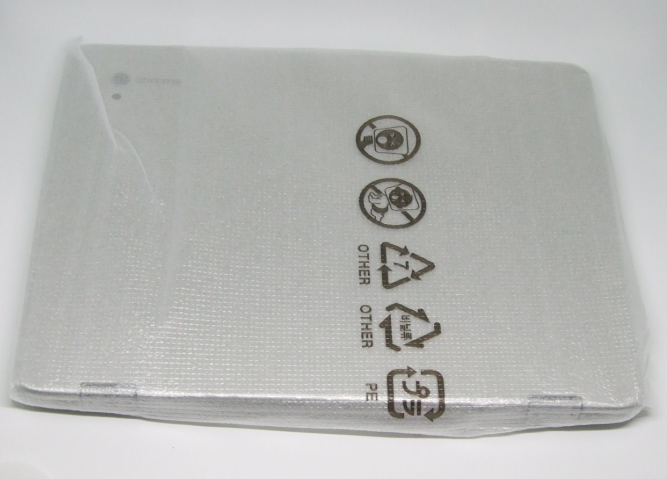 And in #4, the star of the show, wrapped in a protective wrapper (which I’m gonna use as a temporary sleeve until I find a more permanent case for it). There is a blue light on the AC adapter head that lights blue when connected to power (not pictured). The other three things that are included are pictured here. Two pieces of paperwork, the Quick Start Guide (useful) and the Warranty (not useful unless you need it). 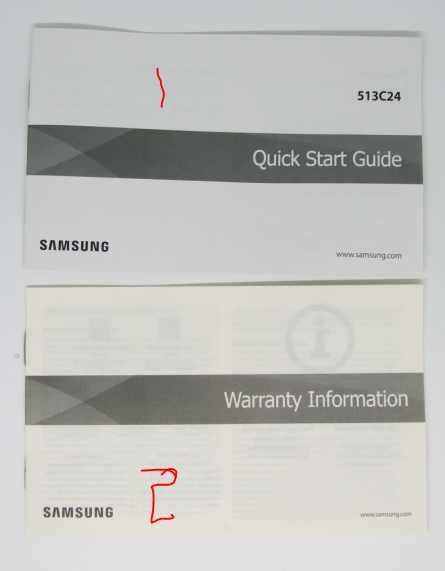 The Warranty paper is more yellow, it’s not a trick of the light! The Quick Start Guide is written in English and then repeated in Spanish. 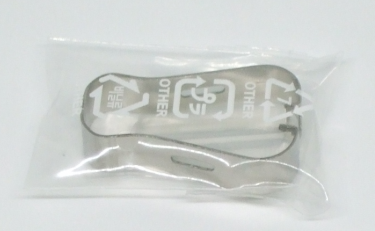 The last included item is the tool for the S-Pen nib changing (I believe). I haven’t even opened it yet. It’s a small thing. It’s one thing to read the size on paper, it’s another to see them in “real life”. Thus the ruler shot 🙂 As you can see it has both a Chrome and a larger Samsung logo on the lid. 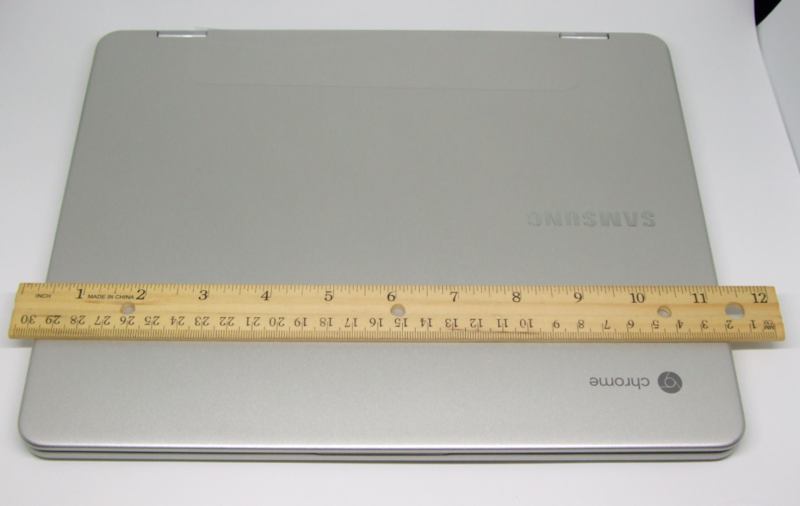 I have an older Samsung Chromebook and I will do size by side pictures in future posts. You are not done removing things yet, on the bottom of the laptop, there is a pastel-green protective tape on the four little feet. 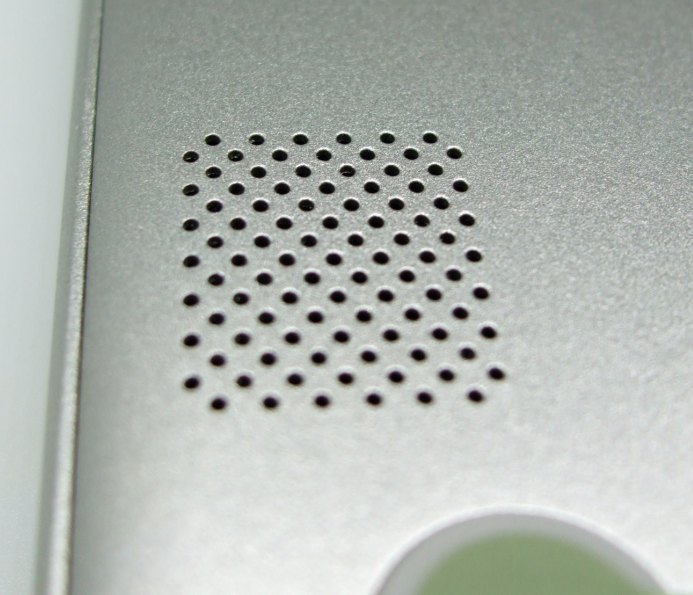 And next to the little feet, on the front side of the laptop, on the under side, you will find the two speakers, one on each side. That’s right, the speakers are underneath the laptop! 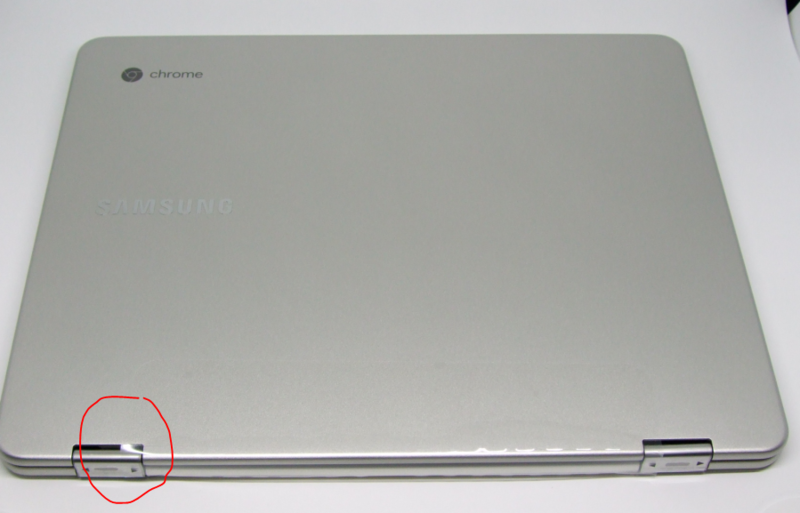 There are no ports on the back or the front of the laptop. The action happens on the sides only. It is a 360 hinged design after all, so it makes sense to have the ports out of the way of the rotating action. This is the left side, first the Volume Down/Up rocker, then the power status light and the power button, one of the two USB-C ports (either one can be used for charging), and the S-Pen nestled into its slot. The power light is red while charging, green after charging is complete, and blue when it is turned on. 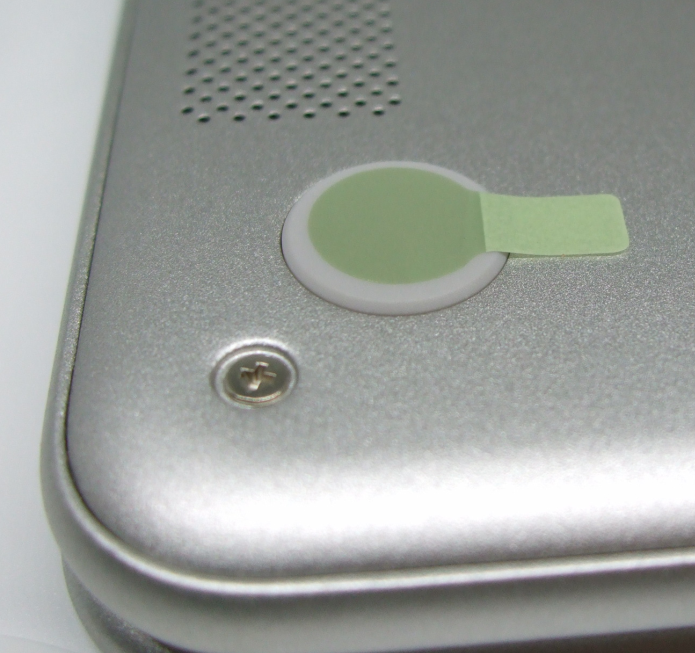 We have fewer things on the right side, a combo headphone jack and mic input (take that iPhones and Pixels), the other USB-port (one on each side), and the microSD slot. And that’s it! The unboxing post is complete! If you have any questions, please leave a comment!!! As I’m writing this, I haven’t even turned it on. The next step is to turn it on and do the initial setup and configuration. This will be the next post. 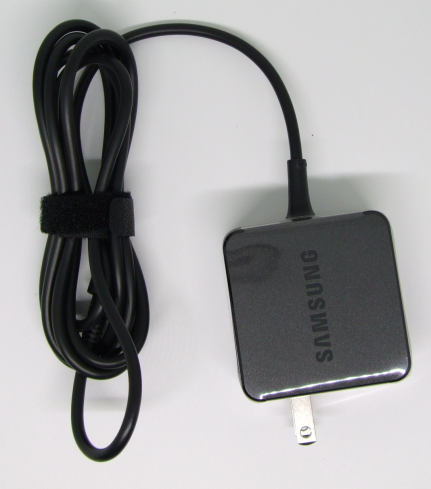 After that, there will be many and more posts, how things work, tips and tricks, “bag fitting”, what accessories work well with it, how well does Google Play work (I am planning to use it equal parts laptop, equal parts tablet) and so on. UPDATE: I have posted the Initial Setup and Configuration How-To! Hooray! If there are any things you specifically want to see, please leave a comment on any of the SCP posts!